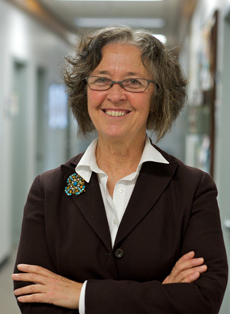 Prof. Joyce McDonough is the current Chair of the Department of Linguistics. The broad goal of this work is the investigation of the mental lexicon in languages with complex morphologies based on information in the speech signal. The primary focus in the structure of the verbal complex in the Athabaskn (Dene) languages, held to be a classic example of 'polysynthesis'. When segmentation helps: Implicative structure and morph boundaries in the Navajo verb. Olivier Bonami, Joyce McDonough and Sacha Beniamine, submitted to ISMo 2017. This research is a collaboration with PI Laurel Carney (BME) and Carney's Auditory Neuroscience Lab. The long-term goal of this work is to understand and model the neural representation of speech in the auditory pathway to further understand the code input to cognitive linguistic behavior. Nonlinear auditory models yield new insights into representations of vowels. L Carney & JM McDonough (2018). Attention Perception and Psychophysics. DOI: 10.3758/s13414-018-01644-w. Fundamental to lingusitic research in every component of linguistics is the existence of empirical data on the sound forms, especially the documentation of phonetic structure. Without instrumental phonetic descriptions and analyses, available for all better studied languages, linguistics descriptions and analyses are dependent on written forms. Taking the Laboratory into the Field. D H Whalen & Joyce McDonough. Annual Review of Linguistics 2016. A gestural account of the velar fricative in Navajo.Khalil Iskarous, Joyce McDonoughb & D H Whalen, Laboratory Phonology 3 (2012), 195 – 210. Dene Speech Atlas: Seeds for the Future. (NSF#0853929). Online atlas of the phonemes and sound patterns of the Dene languages of the Mackenzie River Basin and surrounding areas. The Navajo Sound System. Joyce McDonough. Kluwer (now Springer). 2003.